As we embrace the future and its many wonders, its only right we celebrate the days gone by. Like Leroy “Preach” Jackson at the end of “Cooley High”, many of us are riding off into the sunset of our destinies and tasting the nectar of what lies ahead. I feel its only fitting to speak on two parties in LA that truly had a profound effect on me as an artist/individual. The Root Down/Firecracker were two major attractions (post “Unity” & “Good Life” era) that held up for a decade plus, opposite the norm of typical Hollywood velvet rope cliche’ scenes where everyone is (in every sense of the word) disposable. These two parties celebrated the underground at its finest where unique creatives, bridge and tunnel, weekend warriors mingled to the rarest and finest of sounds. What was special about these two parties is that you as a DJ had to come with your BEST sh-t, there was no winging it or struggling with your homie’s hard-drive. You truly had to go through a right of passage to EARN your crown at both of these parties if you did not already have street credibilty. You had to come with your A game (no pun intended) in order to take the crowd to a higher level and allow them to become one with the beat for the next 4-5 hours. It truly was a community of artists, musicians, dancers and dj’s that sincerely gave a damn about the movement, the music and the people…it was not manufactured..it was from the heart.. They celebrated the culture and put the spotlight on what was beautiful within all of us. talented souls. The moments are too many to mention and too emotional/priceless to share..
Unique74 SALUTES and says THANK YOU to THE MIGHTY ROOT DOWN and FIRECRACKER for over 10 years of Music, Life and Atmosphere. FOREVER WALKER MARTIN, BIGGA B, ROB ONE & DJ DUSK.. REST IN PARADISE..
its never goodbye..its i’ll see you later.. I wanted to share a couple of Root Down rarities that I was fortunate to dig up from the Unique74 History Book. If you ever see the Root Down flyer with WAR featured..guess who was the ghost writer for that one.. These gentlemen brought the LA sound to the world, echoing the joy and struggles of black/brown inner city life while celebrating various street rhythms and world sounds. This funky ensemble from Long Beach, California was founded in 1962 by Guitarist Howard Scott and Drummer Harold Brown. Routed in various tones of Afro Latin, Jazz, Blues, Gospel, Funk and sometimes Rock overtones, this unit started making a name for themselves in their high school years. In 1965, Leroy “Lonnie” Jordan, BB Dickerson and Charles Miller came into the picture and they recorded several singles on DORE records backing vocalist Johnny Hamilton. Including a single entitled “Burn, Baby, Burn” in recognition of the Watts rebellion. During this time the also backed jazz saxophonist Jay Contreli of the LA psych band LOVE on side projects as well, going under names such as Senor Soul and The Romeos (not Kenny Gamble’s vocal group). By 1969 they went under the name “Nightshift” with an addtion of percussionist Papa Dee Allen (who previously had a stint with Dizzy Gillespie) during this time they were backing up Deacon Jones (a defensive end for the LA Rams) on various nightclub gigs. 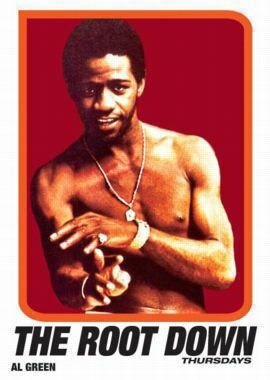 By this point the group was discovered by producer Jerry Goldstein who expressed interest in them and paired them with Eric Burdon (The Animals) in which Burdon changed the group’s name to WAR and brought Lee Oskar in the mix to replace the horn section. In 1971, this union gave birth the group’s first smash Soul/Rock classic “Spill The Wine” from the album “Eric Burdon declares WAR”. 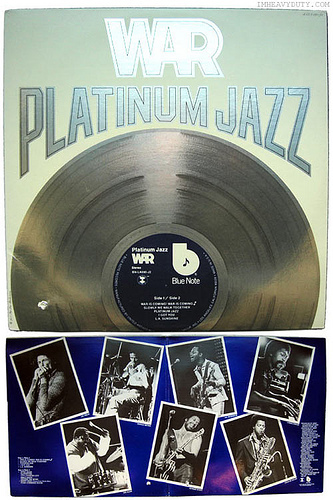 Burdon’s contract allowed the group to record on their own which gave birth to the all time selling debut “All Day Music” ,featuring the hauntingly funky yet dark “Slippin’ Into Darkness”, which has been covered byRamsey Lewis and sampled by Poor Righeous Teachers on “Rock This Funky Joint”. 1972, the unit came strong on the follow up “The World Is A Ghetto” which has been covered by George Benson & Ahmad Jamal (the group later re-recorded the song in 1979). This group broke down many socio-political barriers in addition to laying some stomp down funk gems such as “In Your Eyes”, “Cisco Kid” (as sampled by 7A3 for “Drums of Steel”), “Galaxy” (as sample by Mellow Man Ace for “Rhyme Fighter” and BDP’s “Nervous”) As years went by the group has had various personnel changes which later featured bassist Luther Rabb (Balln’Jack) and Pat Rizzo (Sly and The Family Stone). These LA funksters are still putting it down to this day with their brand of afro/chicano funk with a catalogue that stands the test of time. Deliver the word yall!! This entry was posted on December 19, 2009 by unique74mag. 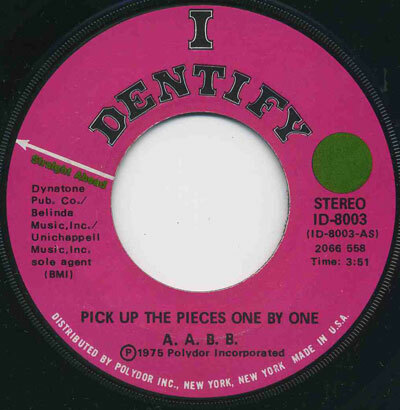 It was filed under RESPECT, Spread Love, Unique 74, UP-liftment and was tagged with Firecracker, Icon, Los Angeles, Low Rider Band, The Root Down, Unique74, WAR.